September 12, 2018 | Batteries are used by members of the Armed Forces all over the world in a wide range of different ways each and every day. Dismounted soldier batteries, for example, are often designed to be rugged and durable to offer power for communication devices and other types of auxiliary equipment. Military vehicle batteries are equally important, as they must be designed in a way to maximize both stealth and energy capacity density in some of the most extreme environments on Earth. For years, when the military procured battery packs of various applications, they had two main types to choose from depending on their needs. One is the lead acid battery pack, which has been widely used for many years, and lithium battery packs, which are relatively young in the grand scheme of things; having been first introduced in the later years of the 20th century. I believe that for high stakes situations like military applications in particular, the choice between a lead acid battery pack and a lithium alternative isn’t a choice at all. Lithium battery packs are the only way to go for a wide range of different reasons that are more than worth exploring. Before you can determine which type of military battery pack is truly better and more reliable, it’s important to first gain a better understanding of the unique technologies at play in the first place. Lead acid batteries have actually been around for a lot longer than people realize, having first been invented by a French physicist named Gaston Plante all the way back in 1859. It is actually the oldest type of rechargeable battery in existence and was indeed the first of its type designed with commercial use in mind. Because of its general dependable nature and modest cost-per-watt base, it is still widely used in automobiles, marine applications, for uninterruptible power supplies, and for other jobs. The grid structure of a lead acid battery is, as its name suggests, made from a very specific type of lead-based alloy. Because pure lead is actually too soft and wouldn’t be able to properly support itself during charging and discharging, small amounts of other metals are often used to help improve and empower the electrical properties. Once the battery itself has been discharged and the recharge cycle begins, the lead sulfate in the battery begins to reconvert into both lead and sulfuric acid. Additionally, electricity flows through the water portion of an electrolyte/H20 mix during recharging, thus converting it back to its original hydrogen and oxygen forms. This is how energy is made, which is then stored in the battery until depleted. A lithium battery is different in terms of the actual materials used to create, store, discharge, and recharge that energy. With a lithium battery, lithium material is in two components called the anode and the cathode. An electrolyte carries positively-charged lithium ions between the two via a component called a separator. As the lithium moves, it creates a charge in the positive current collector. That charge then flows directly into whatever device is being powered, thus depleting the reserves. During recharging, the process essentially reverses itself: lithium ions go from the cathode to the anode. While it’s certainly true that lead acid and lithium battery packs both have their fair share of advantages, for most applications (and for use in military battery packs in particular) only lithium can provide the power, the portability, and the efficiency needed in such a wide array of different environments. One of the most important reasons why lithium battery packs are better is weight: they’re approximately one third the weight of traditional lead acid batteries in most applications. Because members of the military spend a lot of time traveling (and indeed often have to do so on foot, carrying equipment by hand), this superior level of portability matters a great deal. Another advantage of lithium battery packs for military applications can be summed up in a single word: efficiency. In the vast majority of all cases, lithium battery packs are almost 100% efficient during both the charge and recharging processes. This means that there is no wasted energy at any time and all current is flowing directly from the battery into the device being charged. A lead acid battery, on the other hand, has a number of limitations in this regard. Oftentimes there will be a loss of 15 amps or more during the charging process and rapid discharging often leads to dropped voltages and an overall reduction in the battery’s total capacity. In fact, lithium batteries can be discharged to 100% while most lead acid batteries shouldn’t be discharged more than 50% lest the user artificially limit their overall lifespan. Lithium batteries are also very reliable. Lithium batteries are designed to maintain a consistent voltage level all throughout the discharge process, where lead acid often drops voltage consistently as the battery is depleted. This means that even in extreme situations—like those under which military members often find themselves—they will get far more power and a more efficient experience from a lithium battery pack. Along the same lines, another reason why lithium military battery packs excel has to do with the superior cycle life that they offer. A “cycle” describes, essentially, the act of discharging a battery and then recharging it one time. Lead acid batteries, due to limitations in the materials used and the vastly higher levels of discharge in the lead acid materials, can only be cycled between 400 and 500 times before their overall capacity is greatly diminished. Lithium batteries, on the other hand, can often be cycled 5000 times or more. Lithium batteries also excel in one particular area that far too many people don’t pay enough attention to: intelligence. Think about some of the major limitations that come along with using a traditional battery pack. First, the user often doesn’t know exactly how much capacity is left due to the design of the battery itself. Second, the battery itself may or may not satisfy the power demand from the connected device—it’s often incredibly difficult to tell. Finally, if the charging device is not tailored to the specific size and chemistry of the battery, it’s easy to “over-charge” it, diminishing its cycle count and artificially limiting its lifespan. Lithium cells with smart battery management system intelligence. Thanks to the intelligence of lithium batteries, all of these problems are officially to be left in the past where they belong. Essentially, this means that there is some level of communication that is always present between the battery pack, the user, and the equipment (either the device being powered or equipment used to recharge the battery). Not only does the user have more insight and visibility into the current capacity, voltage, and other power properties of the battery itself (so they always know when it is almost depleted, for example) power is also regulated in a way that will not damage any connected equipment. Likewise, the battery itself cannot be “overcharged” due to the battery management system, thus concerns about damaging the battery or prematurely depleting its overall lifecycle are simply not things that users have to worry about any longer. All of this leads directly into what is perhaps the final major advantage of lithium battery packs versus their lead acid counterparts: cost. While it’s true that the initial costs of lithium military battery packs are often higher (due in no small part to the fact that the technology behind lead acid has been around for over 150 years), when you weigh all of the aforementioned advantages together, the total cost of ownership is far, far less. This is true in terms of the prolonged lifespan alone, to say nothing of how true it becomes when you also consider efficiency, intelligence, and other major benefits. Anton Beck came to Epec with over 25 years of electronics manufacturing experience. His background includes all manufacturing processes from design to fabrication. Anton is consistently focused on developing our Battery Design and Manufacturing infrastructure, to continually improve our value added supply chain organization. Anton is Battery Product Manager, and his responsibilities include overseeing our design team, product/prototype development, tooling and test processes, regulatory/approval management and sub-component supply chain to ensure Epec’s world class standards to our customers are maintained. 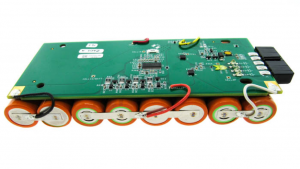 Anton oversees hundreds of custom battery pack design projects which include everything from primary and secondary chemistries to include, alkaline, NiMH, NiCd, primary lithium, and the latest lithium-ion or lithium-polymer batteries. He has extensive experience with medical devices, UL/CE, UN DOT, and military power electronics applications. He can be reached at abeck@epectec.com.